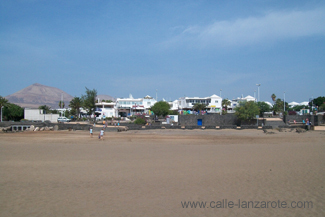 We first discovered the beach at Los Pocillos in Puerto del Carmen when we visited the nearby ¡Estupendo! Office. 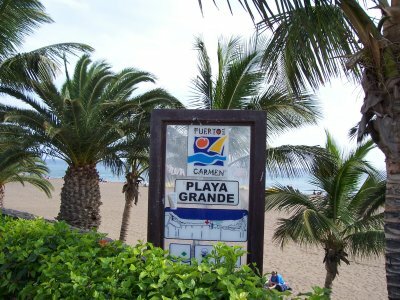 Having only visited the Playa Grande previously, we found that it had some definite advantages. Could Lanzarote’s oldest resort be about to become the Puerto Banus of the Canaries? It’s a bit of a stretch for anyone who has visited the island over the last few years, as Puerto del Carmen, still the most popular destination on Lanzarote, has been looking a little tired around the edges of late. Thanks to the impact of over thirty years of package tourism. But now island authorities are pressing ahead with ambitions plans to “reinvent” tourism in Puerto del Carmen by taking the resort upmarket. A project which has profound implications for the both the future of tourism on the island and the Lanzarote property market. Puerto del Carmen is the place where tourism first took root on Lanzarote. Growing dramatically over the last thirty years to transform a small fishing village called La Tiñosa into a bustling holiday destination. And now Puerto del Carmen is about to undergo a second metamorphosis – as island authorires start work on a project that is designed to maintain the resorts popularity as newer, fresher challengers enter the holiday market. The central plank of this plan is the project to turn the Old Town Harbour area – currently home to a few old fishing boats and excursion vessels – into a luxury marina. A project inspired by the runaway success of the marina at nearby Puerto Calero – now the most upmarket destination on the island, where property prices command a premium. Local tourist authorities hope that this new marina – which is already in construction and which should be completed by May 2009 – will have a similar halo effect in terms of attracting a more affluent tourist to the resort. Whilst also creating a more upmarket ambience. This desire to improve the aesthetic feel of Puerto del Carmen also encompasses the current project to part pedestrianise the main beachfront strip, the Avenida de las Playas. Where tourists currently come a very poor second to two lanes of traffic. As well as the imposition of new uniform, shop fronts and fascias on the units lining the Avenida – which currently advertise themselves with a fairly garish kealdsicope of neon signage. These multi million euro initiatives – in tandem with the opening of the new golf course on the outskirts of the resort next year – are expected to have a positive impact on both tourist numbers and property values over the years to come. Regardless of current concerns about the economic climate. 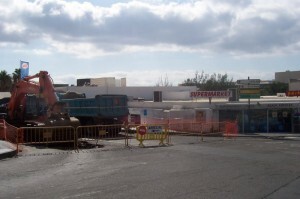 Unless you are situated in the old part of the town, the main beach at Puerto del Carmen is not going to be far away. The Avenida de las Playas is the long road that stretches almost the entire length of the town and the Playa Grande follows that road. The sand is a mixture of light and dark particles – the dark ones being lava ash, which gives the whole beach a slightly darker shade than you might expect on a holiday in the sun. That said, it is very clean and on a fine day can be an ideal place to go with a family. The sea is very clear and even a bit saltier than on the European coast. Depending on which part of the beach you are on, there are pedalos for hire, or loungers with sunshades. 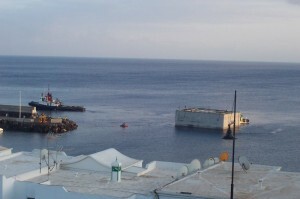 There are also first aid points and a lifeguard station. If the beach gets too much for you, or you’ve left something at home, then there are numerous small shops along the avenida that will sell you almost anything, but in particular buckets and spades, beach towels, souvenirs, and discount electronics! Unfortunately, the beach can be pretty unpleasant when it’s windy – the sand blows up and gets into everything, so it’s best to go there on a fine day with little wind and be prepared to do something else when the weather changes.